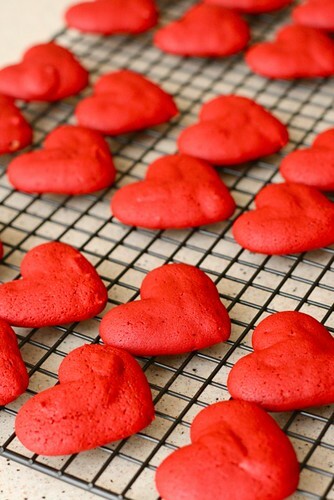 I know there are lots of cynics out there who dislike Valentine’s Day because it is a so-called “Hallmark holiday”. That may very well be, but I think it’s always a nice thing to celebrate and spend a little extra time with your sweetie. Plus, I’m a hopeless romantic. My favorite colors are red and pink, so let’s face it – this holiday was made for me. 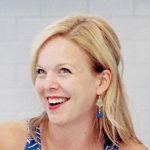 Because this is my blog and I LOVE Valentine’s Day (pun intended), I will be featuring Valentine-inspired or related recipes this week. And, if there is one that I must urge you to try, this is the one. What’s not to love? For starters, it’s a sandwich cookie – but not just any sandwich cookie. 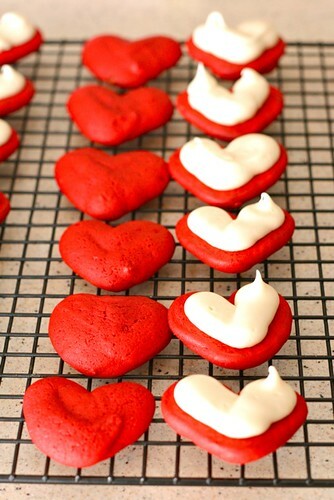 A super cute, heart-shaped red one that tastes just like delicious red velvet cake but in a smaller, more portable form. Yay! 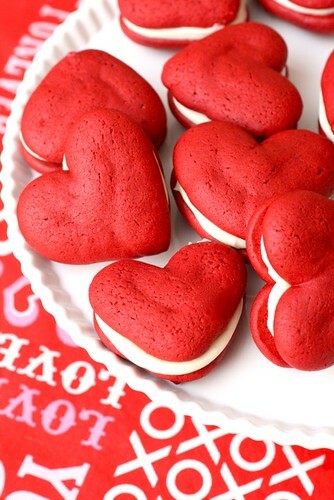 Honestly, I found these pretty much irresistible and had to give most of them away because I kept finding reasons to eat them for breakfast ;) You could make them regular round whoopie pies, but the heart shape is so fun and really very easy. I took some photos during the process to show what I did. One tip I have for sandwich cookies in general is to pipe the filling rather than spread it on with a knife. It makes for a much cleaner looking finished product not to mention it makes less of a mess in the kitchen. 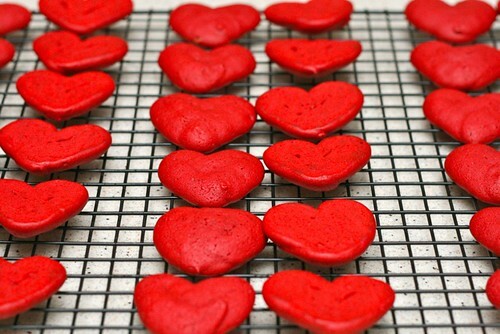 Go make these right now (and send one my way)! 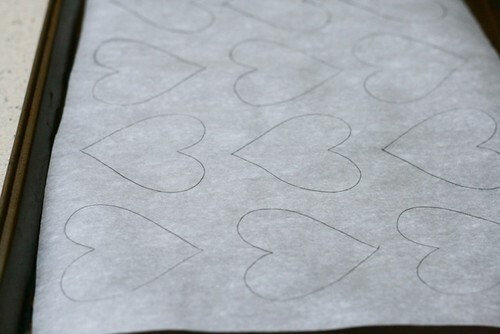 Preheat the oven to 375˚ F. Using a heart template cut out from card stock, trace evenly spaced hearts onto pieces of parchment paper sized to fit two cookie sheets. 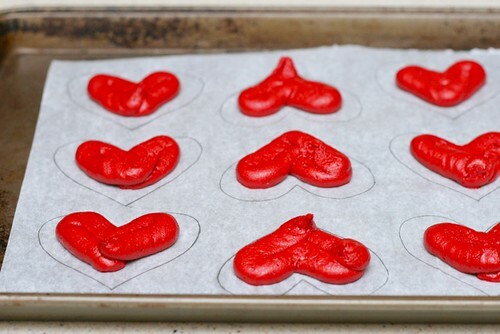 Place the parchment on the cookie sheets so that the side you have drawn on is facing down; set aside. Transfer the frosting to a clean pastry bag fitted with a plain, round tip. Pair the cookies up by shape and size. Flip one cookie of each pair over so that the flat side is facing up.